If you’ve been gazing longingly through the pages of today’s bridal magazines and feel that your dream wedding may seem sadly out of reach, then read on and breathe a little easier. 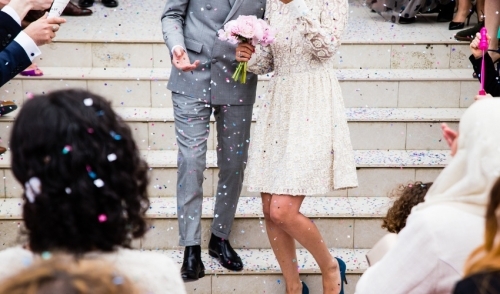 You can personalize your wedding without breaking the bank and achieve picturesque results worthy of any magazine --all this by simply renting the materials you will need in order to add your own personal touch. By renting, you are able to draw from a vast amount of options that can make the difference between the average event and the extraordinary wedding of your dreams. This is mostly due to the access to products that would otherwise be too expensive to purchase in such large quantities. Linens are a perfect example of this. Because of the hundreds of colors at your disposal, you have the ability to coordinate linens with the colors of the bridal party’s dresses and even the flowers. If perhaps, you’d like to go with an all-white linen design, there is the option of further personalization by choosing various chair covers and matching napkins that accent the wedding colors. Renting also enables you to choose a location that best fits the happy couple’s personalities, without the worry of weather related factors. Tents, canopies and other outdoor structures, along with heaters, fans, lighting, generators, and flooring are all at your disposal to make your special day as memorable and comfortable as possible. Want a wedding on a sandy beach? A lush green forest? A quiet country estate? Even if you decide to use your own backyard, it’s all possible when you consider the nearly limitless combinations of rental options available. Many tents are available in wedding white and some even come with clear tops, enabling guests to enjoy the beauty of the sunset or wide, star-lit sky. If you have a specific theme in mind, renting is a great choice. From elegance, to rustic old-world charm, you’ll find what you need. Your lighting choices include elaborate chandeliers, soft candles, and practical, yet charming market lighting to name a few. One last thing to consider: Those pictures in that bridal magazine you were looking through would likely not have been possible without the efforts of the rental industry. According to the American Rental Association, all events, no matter how big or small, include rented materials. When you think of it that way, why shouldn’t your dream wedding be attainable? 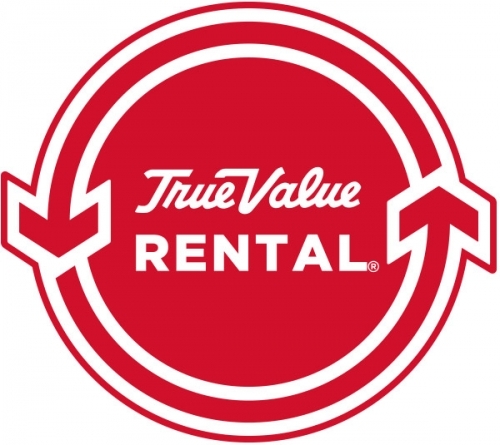 © 2019 Chatfield Power True Value Hardware and Rental. All rights reserved.